In the 1870s, to supplement their early steam engines, French warships were still rigged for sail. In the 1970s the Marine Nationale’s ships at sea included aircraft carriers operating supersonic jets, and intercontinental ballistic missile submarines propelled by nuclear engines. Within this one hundred years, the Marine has played important roles in the acquisition of Asian and African colonial empires; until 1900 the lead role in a naval ’Cold War’ against Great Britain; in 1904-1920 preparation, largely Mediterranean-based for, and participation in a Paris agenda in the First World War; a spectacular modernization unfortunately incomplete in the inter-war years; division, tragic self-destruction and a rebirth in the Second World War; important roles in the two major decolonization campaigns of Indochina and Algeria; and finally in the retention of major world power status with power-projection roles in the late 20th century, requiring a navy with both nuclear age and traditional amphibious operational capabilities. The enormous costs involved were to lead to reductions and a new naval relationship with Great Britain at the end of the 20th Century. These successive radical changes were set against political dispute, turmoil and in the years 1940 to 1942, violent division. 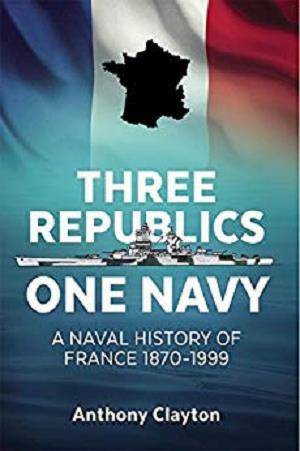 Political leaders from the 19th Century imperialists to the Fifth Republic sought a lead role for France or if not, sufficient naval power to effectively influence allies and world affairs. Domestic economic difficulties more than once led to unwise &lsquo;navy on the cheap’ policies and construction programs. The major post-1789 rift in French society appears occasionally among crews on board ships, in docks and builders yards, and in 1919-1920 open munities in ships at sea. In this work the author has tried to weave together these very varied strands into a history of a navy whose nation’s priorities have more often been land frontier defense, the navy undervalued with a justifiable pride in its achievements poorly recognized. 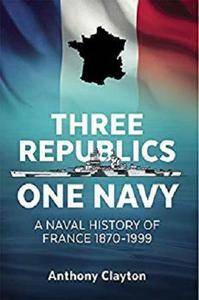 A study of the history of the Marine is also useful and important contribution to wider studies of French national history over thirteen tumultuous decades.